I first came across this incredible cake about six months ago at my favourite local vintage inspire tea room Fancy, in Bedford. To the untrained eye it looks like a traditional carrot cake, but this little tropical masterpiece is full to bursting with a selection of exotic fruits instead of carrots. 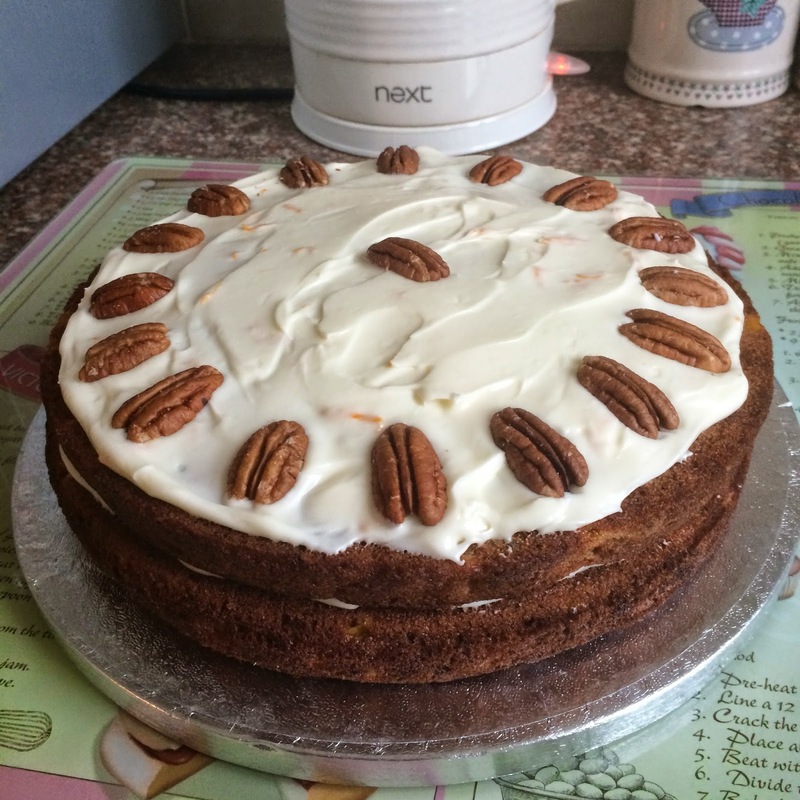 It is spiced similarly to carrot cake (with cinnamon), contains a mixture of walnuts and pecans, and is finally topped with an orange flavoured cream cheese frosting, much like its carroty counterpart. As soon as I tasted it at Fancy, I knew I had to make it - and my mum's birthday last week gave me the perfect excuse to try out this intriguing recipe using mashed tropical fruits, something I've never placed in a cake before, and the use of sunflower oil instead of butter - which coincidentally, worked perfectly. Carrot cake is definitely in my top five cakes of all time (I use Felicity Cloake's 'Perfect' Carrot Cake recipe and it is always A-MAZING). However, since making this tropical version, I think it might have to be de-ranked in favour of this South American rival. I baked this for the first time last week: most of my extended family tried it at a big family BBQ, and boy did it go down well - there wasn't a single crumb left over! 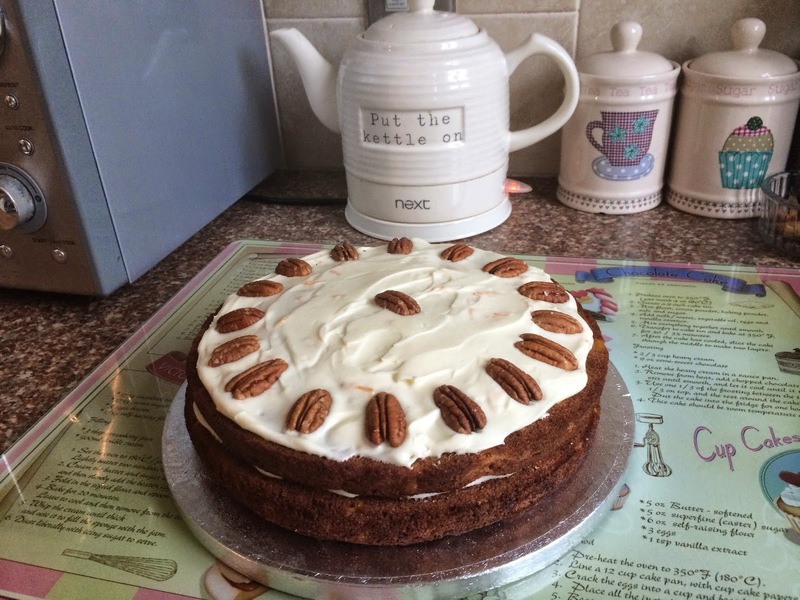 My husband even ranked it as one of the best flavoured cakes he'd ever had…you can't get much better than that. I made a two tier sandwich cake and six cupcakes using this recipe from the BBC website (rather than a 3 tier cake as stated in the original recipe) you could do either. This unctuous cake is full to bursting with mashed banana, pineapple, mango and passion fruit. topped with a thick glossy cream cheese frosting and lightly spiced to perfection….go on…give it a go, you won't be disappointed. I'm actually sad that this cake is in the past and has been completely devoured…I'm just going to have to make it again…! 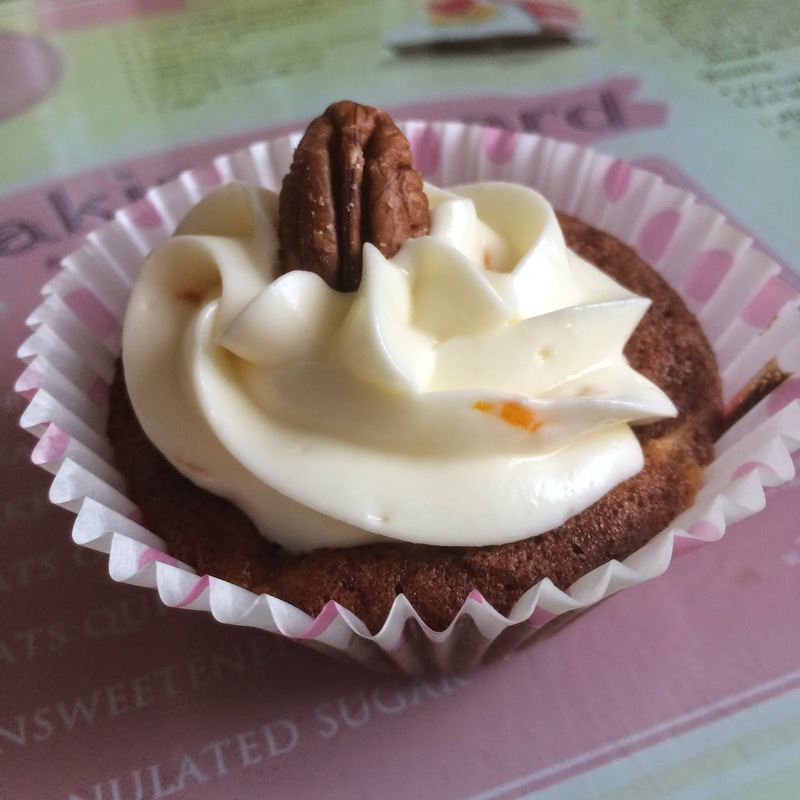 Hummingbird Cupcake: to celebrate my lovely Mum's birthday! So delicious that my hubby ate two cupcakes in a row - which is a big deal considering he has been calorie counting big style for the past 9 months, and watches everything he eats! Have you got a birthday or special occasion coming up that you need to bake for? Or is the weekend a good enough excuse for you to whip up a storm in the kitchen? …it's fine, you can thank me later!